This post is to my new bloggers, and bloggers still trying to figure it out:always remember why you started and ensure to never lose sight of the goal you’re trying to achieve. When I first started blogging, I did it with the intention to always share my experiences with self image and fashion to make the point that no matter what size you are, confidence will forever be the best accessory. 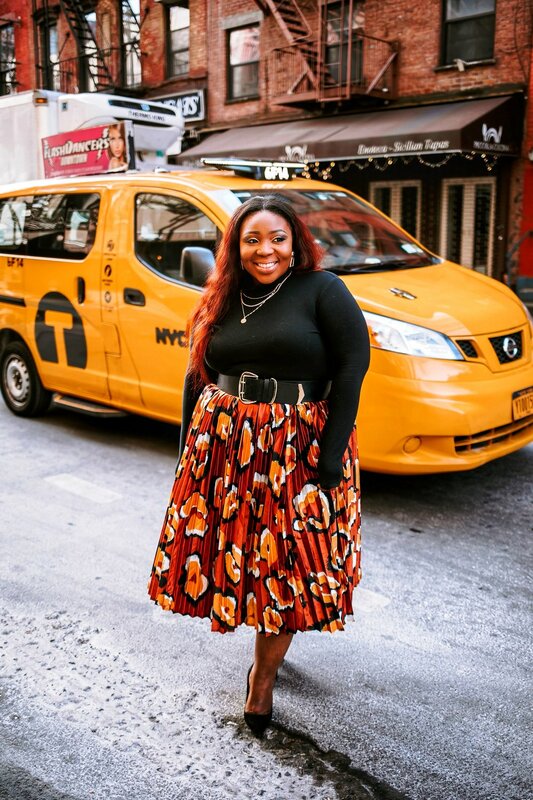 Over time, as I began to grow and interact with more plus size bloggers, I started losing my drive to a point that posting became awkward for me. It went from posting because I wanted to, to not posting because I wasn’t getting paid to post, or because I didn’t want other plus size bloggers to think that me not having the #ad or #sponsored meant I didn’t know my worth by taking free opportunities. Granted knowing your worth in this blogging world is extremely important and I’m not down grading that at all. But getting offered was the only concern of mine and if I wasn’t getting anything I wouldn’t post. I was also starting to lose my personal style. I began to dress what I thought people would like to see from a plus size girl and not what people would see from Anita. It came to the point that dressing became a challenge. I’m sure some of you who have been following me for a while also noticed my disappearing moments on Instagram and on my blog. Another issue was comparison. Comparison is the worst enemy guys. It came to a point that I started comparing myself to other bloggers and began to doubt myself. At that point I totally forgot the whole reason why I started. What was my true niche? What was my purpose? Who was Foreign Curves? Better yet, who’s the person behind Foreign Curves? I was at the point that I almost gave up and quit! And when you get to that point that’s when you have to start re-evaluating things. Remembering the reason why you started and what your passion is? Are you in this space because you're passionate about something that you’ll like to share to the world. Or are you just in this space for the coins and the likes? Those were the questions I asked myself. I had to take a step back and look at my old blog posts. The days when I wasn’t thinking about what others thought of my Instagram or my following. And that’s what brought me back. Remembering that my mission was to prove confidence through fashion, to reinforced the idea that when you truly love yourself, that’s when you start living your authentic self (LoveYOULiveNow) through experiences I was facing in my self love journey. I say this all to say whatever business or project you’re working on: Don’t lose sight of the reason why you started. Don’t lose sight of your goals. And make sure you’re truly passionate about what you’re doing and focus on yourself, not the next person. Allow passion to be your new energy drink to reach your goal even faster.